Back in autumn I received a beautiful unique watch to review from JORD, who create gorgeous wooden timepieces for people who value sustainability, efficiency, and experiential living. Ian loves watches and was a little envious of mine, so when JORD offered to send a piece from their range of men's watches for him I just had to say yes! 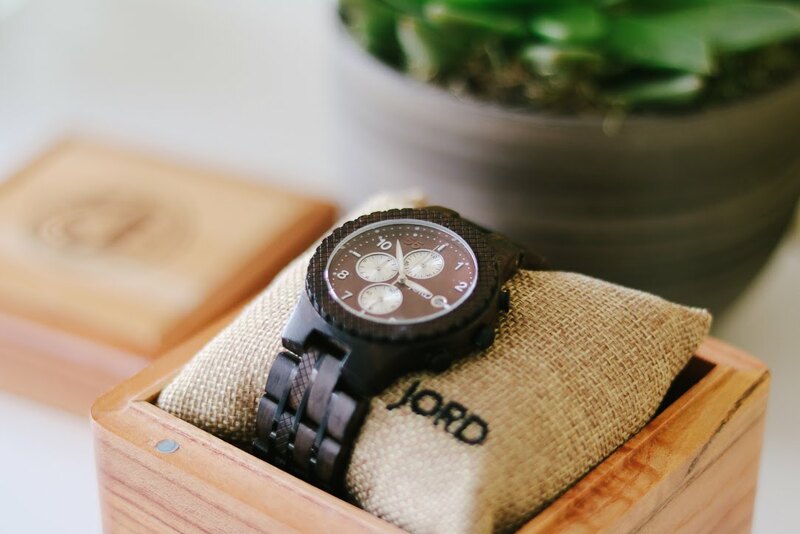 JORD have a huge range of cool watches to choose from made out of beautiful woods such as kosso and walnut. Their newest series in their men's selection of watches is the Conway, with striking metal accents to compliment the wood options. Ian loves the bold, chunkier kind of watches and so the Conway was perfect for his style. After browsing through the different wood choices, he finally decided on the Dark Sandlewood & Burgundy watch from the Conway series. We measured Ian's wrist before confirming his choice, so the fab folk at JORD were able to adjust his watch before sending it over to us. These watches can be sent worldwide and shipping is free! Ian's watch took just over a week to reach the UK from the US and had a small customs charge upon arrival. We did need to get another link removed from it but now it fits his wrist absolutely perfectly. JORD wood watches are hand-finished and treated with tung oils to protect them. The watch is splashproof and comes with a equally gorgeous wooden presentation box and cushion to store the watch when it isn't being worn, and a small cloth and vial of oil for cleaning and maintaining it. The watch also comes with one year's warranty for added peace of mind. 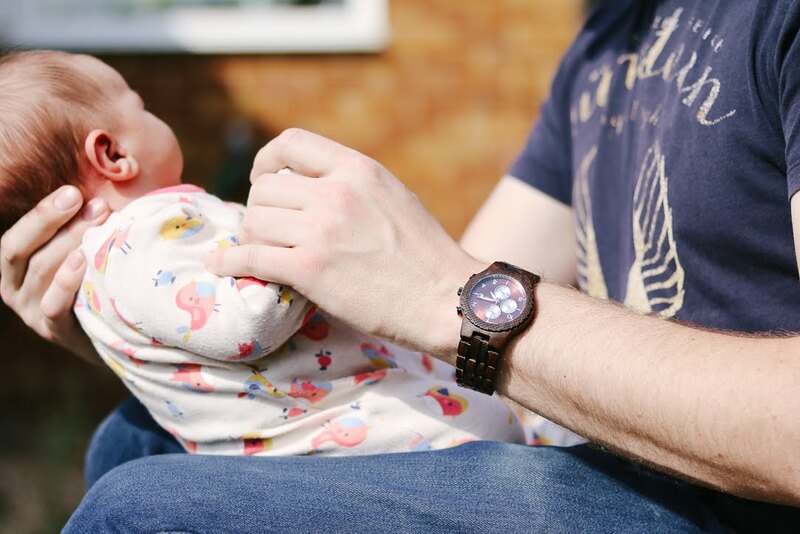 The watch is a great new addition to Ian's wardrobe, perfect for both the office and at home hanging out with the baby. 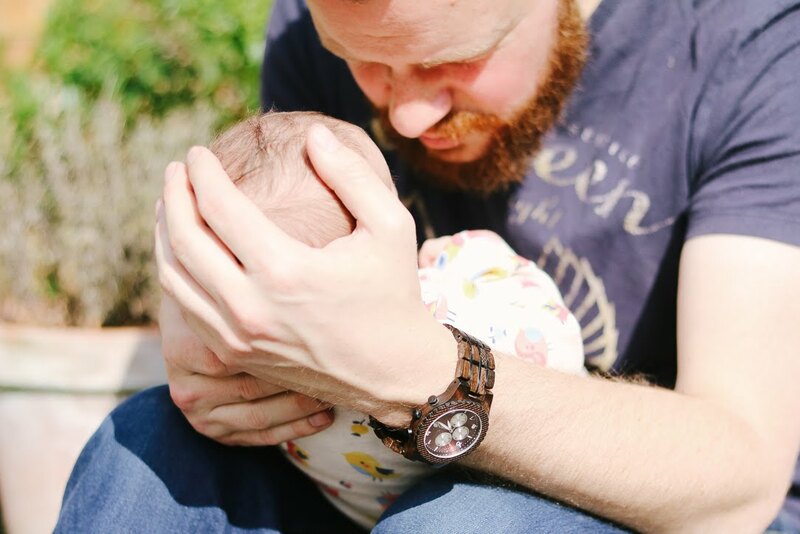 These wooden watches are so striking and I think Ian's one is even more eye-catching than my own JORD watch! If you want to see their collection of women's watches you can take a look at them all here. I've just spotted the Cora series with a Koa & Rose Gold watch which has given me heart eyes! WIN A CONWAY WATCH WITH JORD! JORD have an exclusive giveaway for readers to win a Conway watch. Simply fill out this form! All entrants will automatically receive a $25 discount code, too! The contest will close 4th June 2017 at 11:59pm CDT. Both the free Conway watch code and the $25 codes will expire on 31st July 2017. All codes will be emailed by JORD after the giveaway has ended. 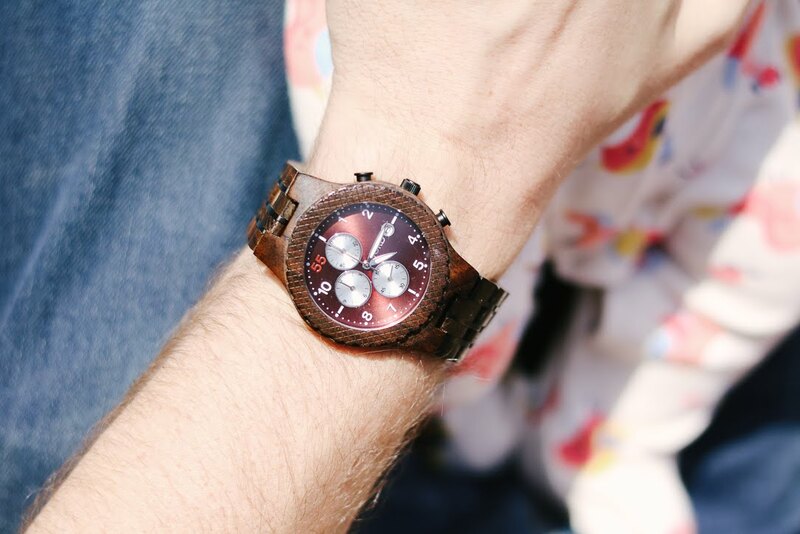 How would you style your JORD Wood Watch? I was sent the watch to review for this feature. I would give it to my son who would style it perfectly with his great dress sense, I think quite casually dressed though - shorts and a tee-shirt in the sun. With Denim........Has to be Denim. Hubby would wear it with his t-shirts, jeans and either his brown suede shoes or his trainers! I would style on a lovely tanned arm! smart casual - blouse and skirt, summer sandals.